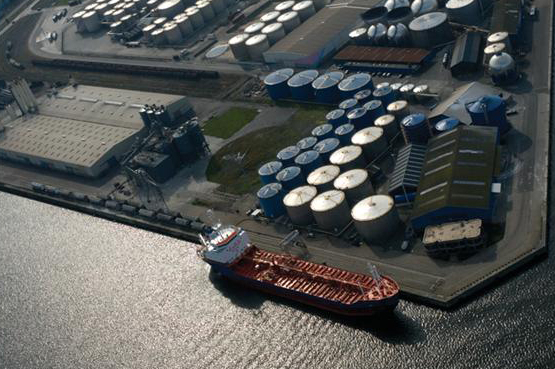 Established in 1992, Bax Chemicals Export Overseas B.V. has been developed to a mid size distribution company of chemicals located in The Netherlands. For many years we have build up broad experience and good practice in handling chemicals all over the world. The type of products we are strong at are ALCOHOLS, GLYCOLS, GLYCOL ETHERS, ESTERS, CHLORINATED SOLVENTS, HYDROCARBONS, KETONES & MANY MORE. Main industries we serve are for paints, inks, adhesives, detergents and the chemical industry. Our business model is based on collecting the bulk with (European) producers in the first place. According our clients’ order, we take care of the required packaging (drums, IBC, Isotank, other) and prepare the shipment for export. We prepare your shipment for different products together in one container.All required documents will be prepared in fast and proper manner, so delay for this is limited to a minimum. Our exports are going to all continents in the world; Africa, Asia, Australia, North, South and Latin America, The Caribbean area and Europe. Apart from smaller packaging, we could also provide deliveries in bulk vessels. Bax Chemicals provides its clients a worldwide product sourcing service. Bax Chemicals meets the customer’s needs and expectations by ensuring that only high quality chemical products and service are offered in the most professional and dedicated way possible.